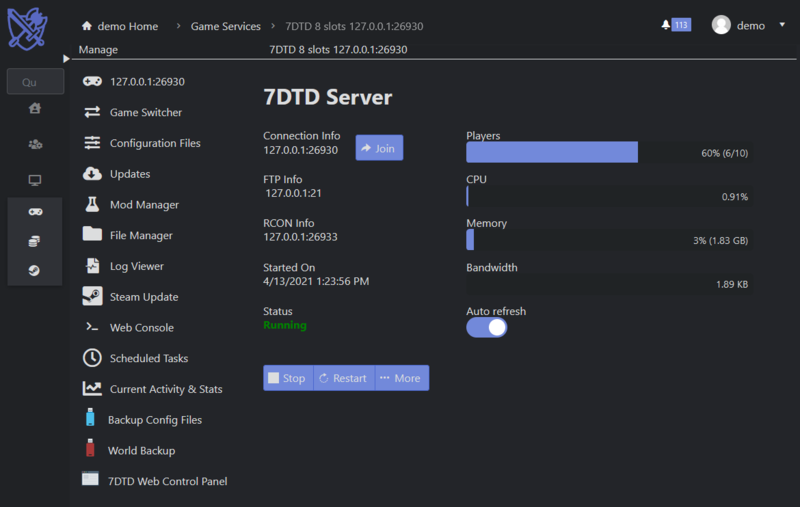 All our servers support mods which can easily be installed through our control panel, either by uploading or by installing directly from our mod manager. Our customers have the opportunity to install Alloc's Server Fixes which adds more features to your server - including an online map of your world. Don't want to use the control panel for sending an command? Do it directly with telnet instead! You choose whether telnet should be enabled or not.